If you’re lookin’ to get crafty and you like in the Philadelphia area, you have 2 choices this weekend. First, is in Feasterville, PA at IMPACT Thrift. It’s a great chance to find out how you can upcycle tons of great finds from IMPACT thrift. Clover Market is a monthly outdoor market with antiques & collectibles, vintage jewelry & clothing, art, fine crafts, and handmade. 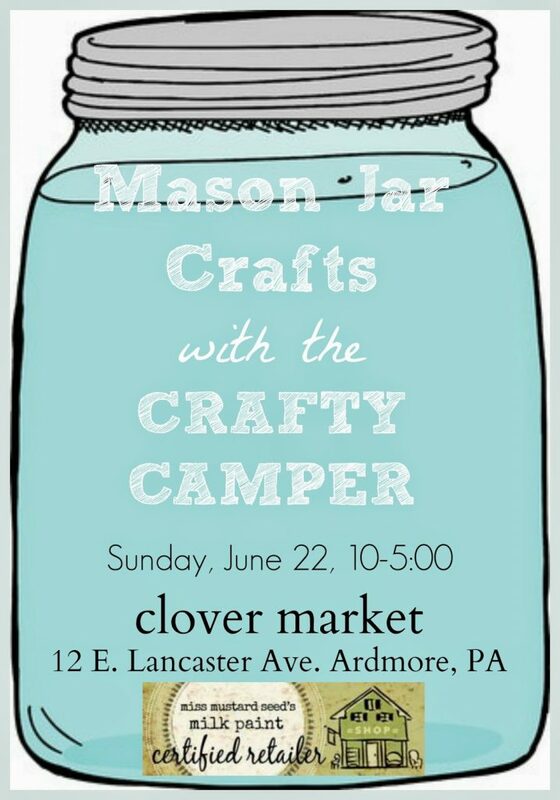 I’ll have the Crafty Camper with me and teaching DIY workshops all day, or until I run out of supplies!